I have forever been in love with the Halloween village from Department 56, but the pieces are a little too pricey for me to justify. But that doesn't have to stop me from having a spooky Halloween village. Desiree found some Christmas village pieces at the Dollar Store and transformed them into a fun Halloween decoration. 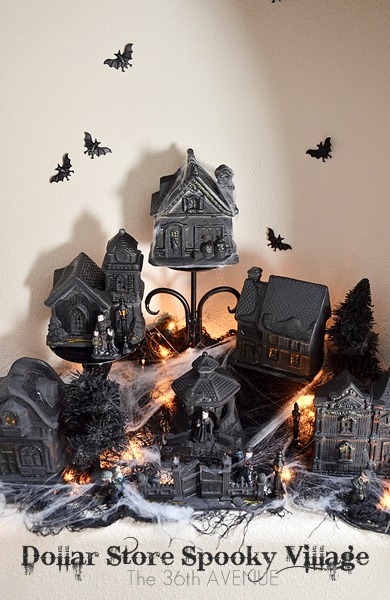 You can check out the details of her DIY Dollar Store Halloween Village over at The 36th Avenue. So creative and budget friendly!